We have all been under the weather this week and I am still not 100 %. I spent the weekend under a duvet on the couch. I should have been in bed, but I didn’t quite believe that my family would continue to function without me, so I lay there with one eye open and only got up to referee and do dishes. And because I promised to supply the templates, I am sitting here now surrounded by tissues and cold coffee and talking lots of nonsense. If you don’t know what to do with these templates, see my very lengthy post about Making Your Own Paper Drinking Straws. I strongly encourage you to try it. Right. 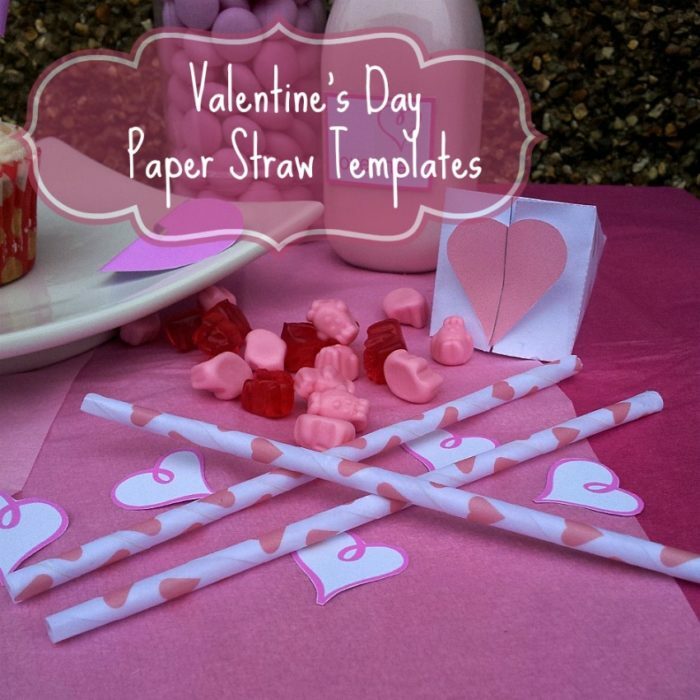 Here, for your downloading and crafting pleasure, are the Valentine’s Day Paper Straw Templates. Some hearts, some lines, some pinks, some reds…have fun! I’m sorry I left it so late, guys and gals. But you can always earmark these for next year…And remember to have a poke around for some of my other Valentine’s goodies, like my Printable Straw Toppers and my Heart Cupcake Toppers.